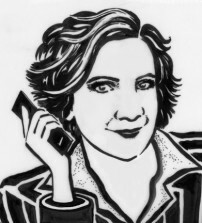 Born and raised in New York, Anne Thompson has been a contributor to the New York Times, Washington Post, The Observer, and Wired. She has served as film columnist at Variety, and deputy editor of Variety.com, where her daily blog, "Thompson on Hollywood", launched in March 2007. Anne was the Deputy Film Editor at The Hollywood Reporter, the West Coast Editor of Premiere, a Senior Writer at Entertainment Weekly, and West Coast Editor for Film Comment. She wrote the film industry column "Risky Business" for L.A. Weekly and the Los Angeles Times syndicate. A graduate of the Department of Cinema Studies at New York University, she has taught film criticism at USC and hosts the fall semester of â€œSneak Previewsâ€ for UCLA Extension.